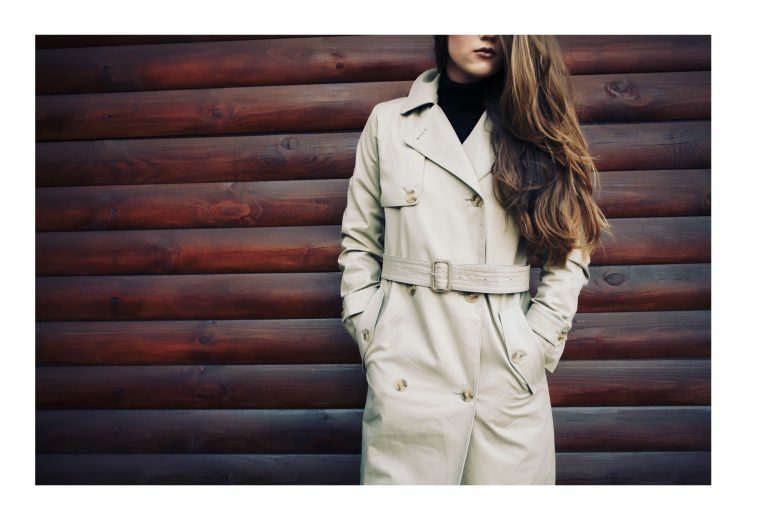 Your Autumn closet really should include a trench… and real fans will want to keep on wearing their trench in Winter, too! If it is getting a bit too cool to keep on wearing a trench where you live, just see it as a style challenge rather than a limitation! While we usually think of a trench as a light coat we wear over a shirt or a sweater, wearing layers underneath it could be a new, creative strategy to try out. Feeling too cold? Here is a look for you: a midi skirt, over-the-knee boots, a turtle neck with a blazer, topped with a beret and a short strap bag… So chic, right? ? Getting an oversize trench is a good idea if you’re going to get experimenting with our suggestions, or with your own ideas: don’t pick a huge one, but do get one that will be comfortable if you start playing with layers. If you already own a classic, figure-hugging trench, now is a good time to invest in a cooler, more comfortable one… This will be a true evergreen piece in your wardrobe! Layering is one of my favourite things to do ones the weather becomes a bit more bleak. It gives you a chance to really go for it and mix some of your older styles with the new. Grab your favorite knitwear from a couple of years ago that was sitting at the back of your wardrobe and pair it with some brand new boyfriend jeans. Bring out the chunky scarf to keep you extra insulated and top it off with a fantastic oversized trench coat. Don’t be afraid of wearing some pops of colour to really bring your outfit to life. Think reds, mustards, rusts and even add that little bit extra by throwing some brighter colours such as lime or frozen yellow into the equation. Once you have got the rest of your outfit in order you can let the trench coat be the star of the show. Just dont think that your trench coat has had its day because of the dull weather outside.